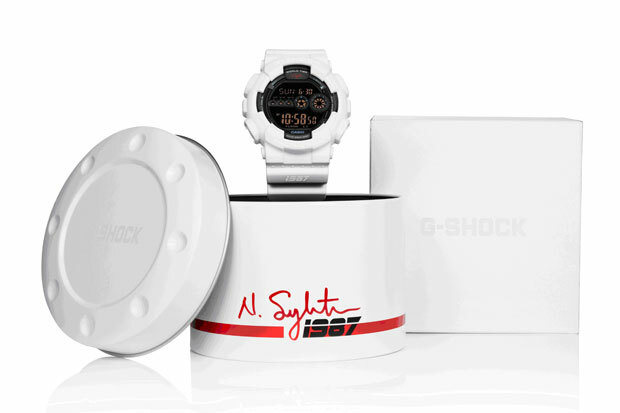 If you want one of these extremely limited pieces from Nigel Sylvester, you better head down to either G-Shock East (Dray Walk, just off Brick Lane) or G-Shock West (Neal Street, Covent Garden) today. With just 100 watches split between the two stores, this white-hot collab from the Queens New York BMX'er will be snapped up in minutes. If you haven't been to G-Shock East yet, here's a lovely film from Threads TV so you know what to expect!